The Regional Center operates two separate programs, each with different eligibility rules. The Early Start program is for infants, birth to 36 months. 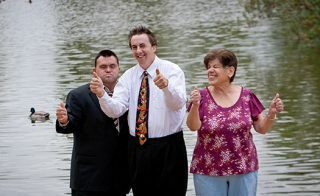 The other program is for persons over 3 years of age who have a developmental disability. Each person referred to the Regional Center will be considered for services in one of these two programs. To be eligible for services, a person must have a disability that begins before the person’s 18th birthday, be expected to continue indefinitely and present a substantial disability as defined in Section 4512 of the California Welfare and Institutions Code. Eligibility is established through diagnosis and assessment performed by regional centers. Infants and toddlers (age 0 to 36 months) who are at risk of having developmental disabilities or who have a developmental delay may also qualify for services. The criteria for determining the eligibility of infants and toddlers is specified in Section 95014 of the California Government Code. 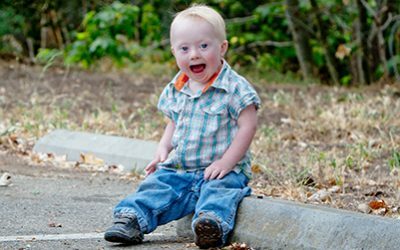 In addition, individuals at risk of having a child with a developmental disability may be eligible for genetic diagnosis, counseling and other prevention services. For information about these services, see Early Start. • Any person believed to have a developmental disability, and any person believed to have a high risk of becoming the parent of a developmentally disabled infant, is eligible for initial intake and assessment services. • In addition, any infant having a high risk of becoming developmentally disabled is eligible for initial intake and assessment services.